We've long used music to tell stories—now we also use music to explain science. In fact, a whole new related genre has arisen: the science music video, which brings accessible, fun, musically enriched science to a wide audience. 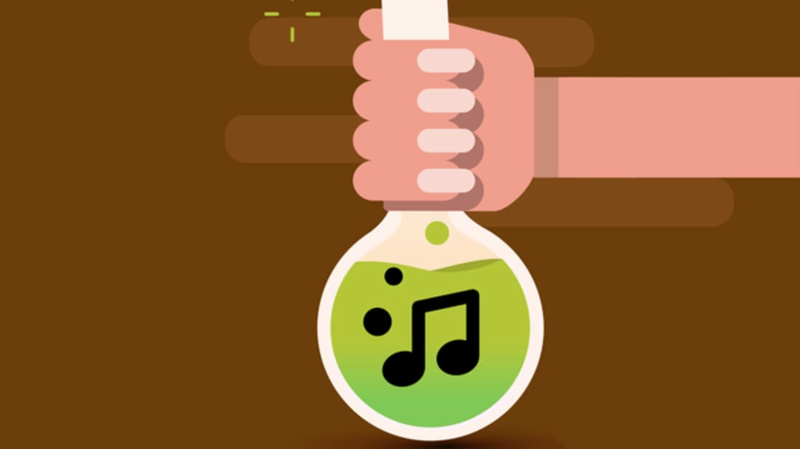 Here are 15 great science music videos to get you started. Turn up the volume. The visionary 1980 television series Cosmos: A Personal Voyage was a kind of precursor to the coming age of science music videos. Here, the original Cosmos music is set to historic visuals from the series, along with some of the most memorable, moving words ever spoken by Carl Sagan about the Earth: "a mote of dust suspended in a sunbeam." Speaking of history, here is a quirky, accurate, and fun little ditty about the way scientists can sometimes be downtrodden by their peers…despite their prescience. Brought to you by The Amoeba People—who might be best called a "natural science band"—this video spotlights the prophetic data-driven insights of Alfred Wegener, who was 30 years ahead of his time. Humans’ relationship with music stretches back eons. And while our connection to fermented beverages may not be quite as ancient, this song by Adam Cole—featured on NPR’s The Salt—scores high marks for linking great science, a witty ballad, and a dose of hilarity to leaven the whole thing better than, dare we say it, yeast? Meanwhile, gravity has been with us—and the whole universe, for that matter (ahem)—since time began. These days, musical scientist Tim Blais at the A Capella Science YouTube Channel waxes on quanta, string theory, infinity, and the unifying theory in this brilliant redux of one of Queen’s most famous melodies. Each week, science teacher Tom McFadden, creator of Science with Tom, turns a story from the weekly Science section of the New York Times into a rap verse and posts it to his YouTube Channel, Science x Rhymes. Recently, he spotlighted a story by mental_floss senior science editor Jen Pinkowski about a "dinosaur Shangri-La" in Utah. In this case, he had great help from math rappers (and teachers) Mr. Q-U-E and Mr. D, of Music Notes Online. In 2009, singer Glory Liu and composer and lyricist Ryan Miyakawa were students at UC Berkeley. The two pulled off a Broadway-quality rendition of the wonders of nanotechnology for a popular "Physics and Music" class. The cast and crew? An enthusiastic group of puppets. Students and alums conceived and created the video to enter an American Chemistry Society contest in 2009, and before they knew it, the video went viral. Lynda Williams sings an ode to the glory of carbon with her take on Marilyn Monroe’s famous Diamonds Are A Girl’s Best Friend. Williams's song, originally posted in 2008, is featured on the Best Biology Songs on YouTube channel curated by Brian Gibbens. Science Friday featured the song in 2010. For a bit of mathematical beauty, check out this tribute to the Fibonacci Sequence created by digital artist and animator Chrístobal Vila. The piece is visually and aurally stunning, and it depicts mathematical formulae with images from nature that manifest underlying mathematical truths. On a similar note, watch this simple but oh-so-striking depiction of the remarkable dance of pendulums set up precisely by the Harvard Natural Sciences Lecture Demonstration and accompanied by a Phillip Glass piece. While the longest pendulum makes 51 oscillations in 60 seconds, the shortest undergoes 65. The result is a mesmerizing display of traveling waves, standing waves, and (seemingly) random motion. Science writer Kate McAlpine creates science raps, and her take on the Large Hadron Collider, the world's largest particle accelerator, is a doozy. Uploaded in 2008, it’s been featured by the New York Times, National Public Radio, BBC Radio 4, and many others. At last count, it was closing on eight million views on YouTube. This gripping account of the rise of humanity on Earth (with a bias towards American history towards the end) was created in 2013 by Joe Bush, then a Minnesota high school student who made the video for a class. Since then, it’s reached nearly 19 million views, and has been featured by Smithsonian Magazine online. It may not have 19 million views, but this humble video is a real gem—a fantastic original and catchy song that masterfully handles current climate science and the need for action. Creator Glenn Wolkenfeld has produced an entire series of Science Music Videos (some featuring additional curricular materials). A veteran science teacher at Berkeley High School, Glen’s materials are designed to support science teachers in their classrooms. Check out his YouTube Channel. Making its original debut in Monty Python’s 1983 movie The Meaning of Life, "The Galaxy Song," written by Eric Idle, could easily have been inspired by Sagan’s Cosmos. In 2012, the BBC commissioned none other than Idle himself to update the classic for its series The Wonders of Life. And coming full circle, we conclude with John Boswell’s A Glorious Dawn, featuring Carl Sagan and Stephen Hawking. With it, Boswell also launched The Symphony of Science, a project to “spread scientific knowledge and philosophy through musical remixes.” When Boswell uploaded the video in September 2009, it quickly became one of the top YouTube videos of all time. It’s been featured on CNN, NPR, Wired and many others. His project has “caught the attention and praise of a world-wide audience of listeners, among them many of the leading figures in both the music and science communities,” writes Shirley Pena for The Los Angeles Beat. Many of the world’s most respected scientists and thinkers are seen in his subsequent videos, including Richard Feynman, Richard Attenborough, Jane Goodall, and Bill Nye. Check out its YouTube Channel here. If these songs have you humming along, here’s a BBC story that spotlights The Best and Oddest Science-Inspired Music.